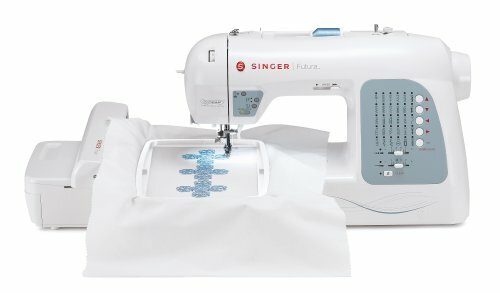 The SINGER FUTURA XL-400 sewing and embroidery machine is everything you love about your SINGER sewing machine, built right into an embroidery machine. It’s never been easier to add the personal touches that make your sewing projects shine. Automatic features make it easy to let your creativity lead the way! 30 built-in sewing stitches with two fully automatic one-step buttonholes. 110 volt machine designed for United States and Canadian use only.